You are here: Home / What is Construction Piling? Piles provide the support a structure needs, through wood, steel, concrete or timber. The definition of a pile would be a long structure, in the shape of a cylinder, from sturdy material like concrete, that go beneath the ground in order to put structures on top of it. Pile foundations have piles that connect to the pile cap, to hold more loads than one pile can carry. The pile cap is a concrete block that connect to the heads of the piles. This makes a typical load much easier to carry. When are Pile Foundations Used? A pile foundation is used when the soil at the surface is weak. This weak top layer of soil will not be able to support a building, so the building loads go through the layer to a strong, solid rock or soil layer. When there are heavy loads from a building – especially in a high rise building, water tank, or bridge – a pile foundation will be used. 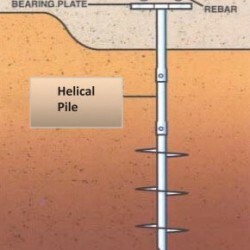 Piles are driven or hammered by a pile driver into the soil. The pile is held vertical by the pile driver, and goes deeper into the ground by a heavy weight dropped on the pile. 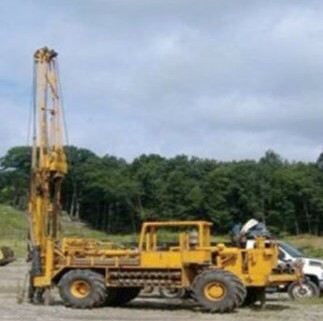 The pile is like a crane, where it will lift the pile at a horizontal position at the ground level, and switches it to a vertical position, where the pile is driven into the ground. The pile cannot be hammered or driven into the ground past the point that the ground is tough, and will not allow further depth into the soil. Some of the special piles we use for construction piling in CT are micro piles of helical piles, which do not use the hammering method. This prevents a lot of noise or vibrations that could cause damage to buildings. Micro piles are dug into the ground whereas helical piles are drilled, rotated and pushed into the ground. If you are in need of any construction piling, contact us today! http://www.soiltestinginc.net/wp-content/uploads/2015/02/Subsurface-Investigation-Windsor-Locks-feat.jpg 323 323 stadmin /wp-content/uploads/2015/01/logo.jpg stadmin2016-09-27 15:41:362016-09-27 16:09:04What is Construction Piling?